PRUNING- Proper pruning can influence risk (personal and property hazards), plant quality,growth rate, plant health, longevity and aesthetics. (Pruning, Edward F. Gilman, PhD.) We do proper pruning based on ANSI Standard A300 (Part 1)-2008 Pruning and we do it with an artistic and creative touch. REMOVAL- Life has been hard enough on you to have to lose a tree and suffer the expense. 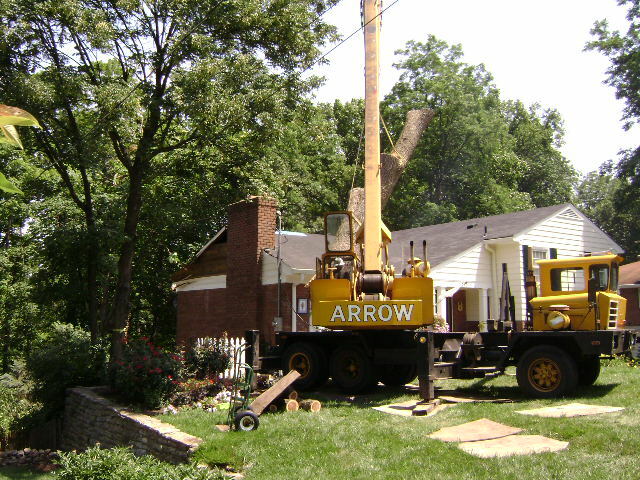 NOone is better than us at removing a tree without damage and getting it done in a timely fashionand at a reasonable price. We adhere to ANSI Z133.1 2006 Safety Standards for Arboriculture Requirements. 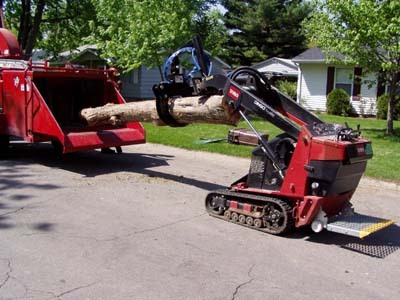 We have a vast array of equipment and have been doing crane assisted tree removals longer than ANYONE in the area dating back to the early l970’s. We have aerial trucks to assist the crane, huge wood chippers and stump grinders and the expertise andexperience to use all this equipment. EMERGENCY AND STORM work- Our first priority upon beginning a job is making the environment safe for everyone in this job site. 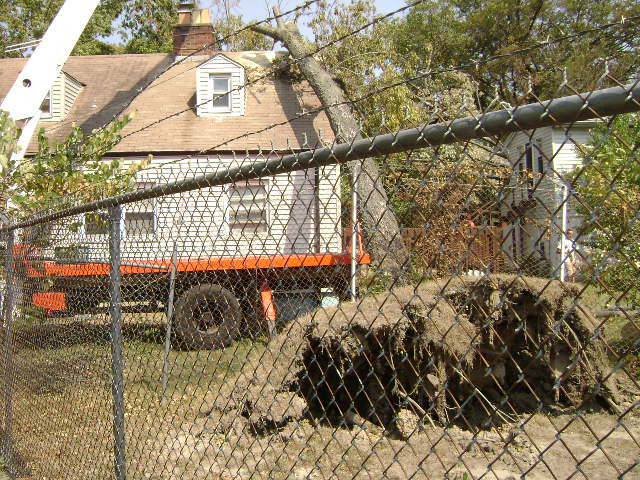 After securing the area and subsequently removing what is necessary we are going to save any trees that most other companies would likely remove. 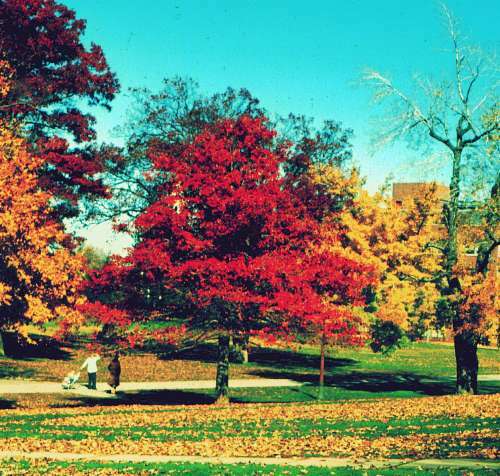 We have developed systems from over 40 years of successful operation to eliminate hazards and mitigate others if a tree is able to be saved. ANSI Safety and Pruning Standards are observed. 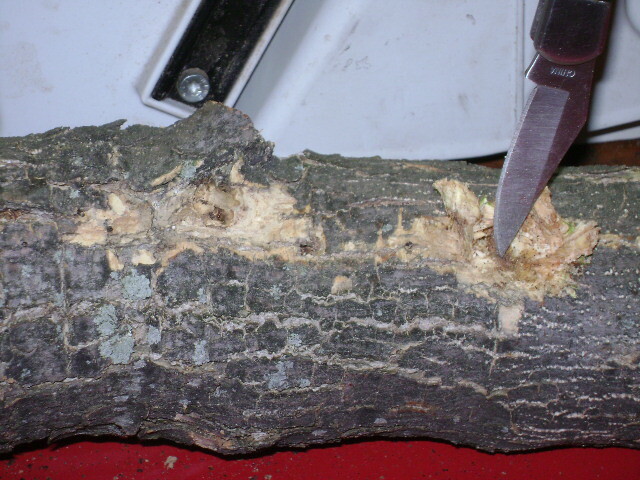 DIAGNOSIS AND TREATMENT- Many insects and diseases lay in wait to compromise the health of your trees for their benefit. We are ready, willing and able to intervene with the appropriate response to mitigate, control or eradicate issues as soon as we are alerted by you or we notice problems on your property as a normal course of business as an established client. The earlier the reaction by us the more likely a successful response will be facilitated. If you notice something out of order, call us for a free visit. Timing is EVERYTHING. RISK ASSESSMENT- and mitigation or removal. 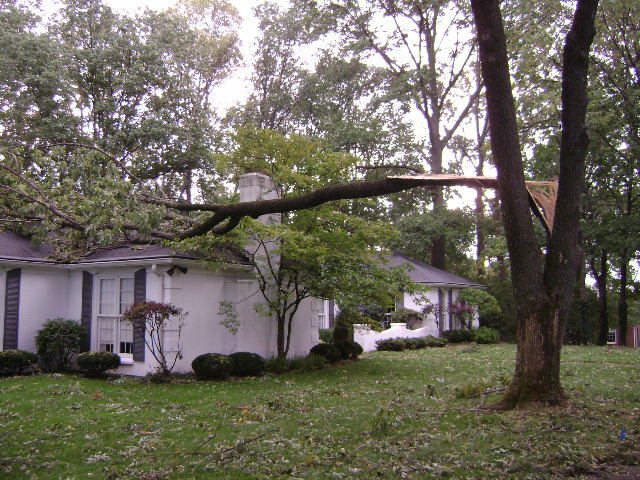 We will evaluate your trees for hazards and we can measure decay to obtain information related to thresholds to determine appropriate treatments or if decay causing organisms are so virulent as to be no hope, remove the tree. 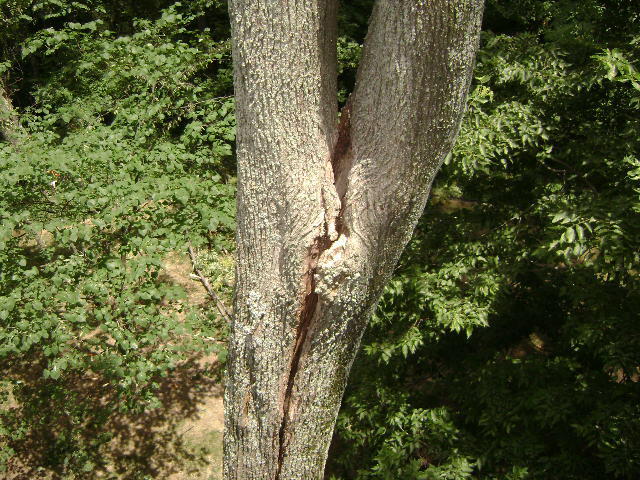 Defects caused by storms or other factors will also be evaluated such as co dominant stems, cracks, leans, heaving root systems, etc. Reports can be generated on a contracted amount or a per hour basis. Decay detecting equipment such as the Resistograph or Tomograph may need to be employed. 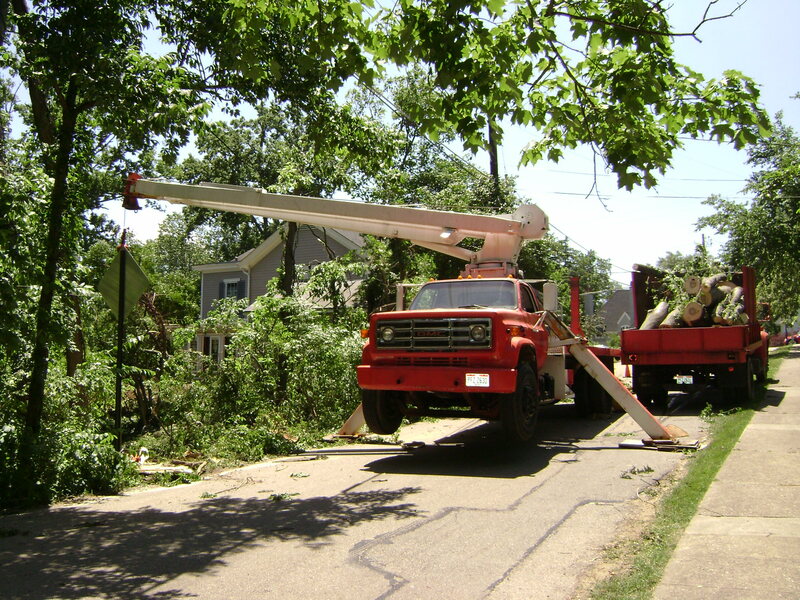 CRANE AND AERIAL TRUCK- assisted removals. Our company owns a 95 foot crane and a 55 foot and 75 foot aerial trucks. I do not think there is another 75 foot aerial truck in the city owned bya tree company. 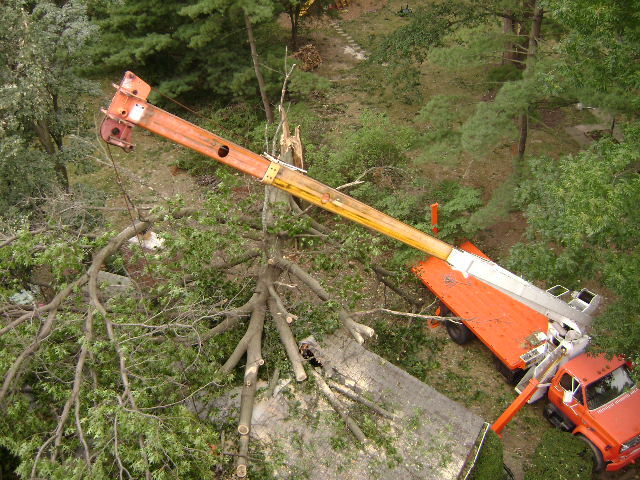 We also subcontract commercial crane companies that are highly experienced in crane assisted tree removals. This all makes for a safer job for the client, the personnel and surrounding property. We are VERY good at this and there are only a few in greater Cincinnati that are. 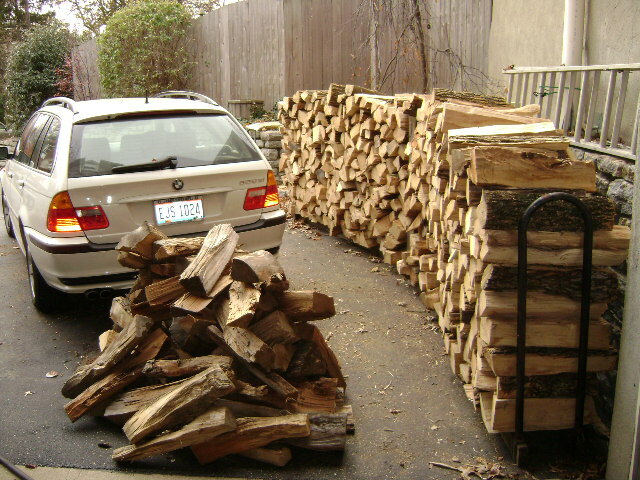 FIREWOOD- We have sophisticated firewood harvesting equipment . We have a vast clientele that purchases our product. One purchaser drove out of the way last week to gush over our wood in comparison to what he had bought before. You will get more than you expected too, which is usually the opposite of what might happen. We will treat you right as we want your return business and recommendation to others. 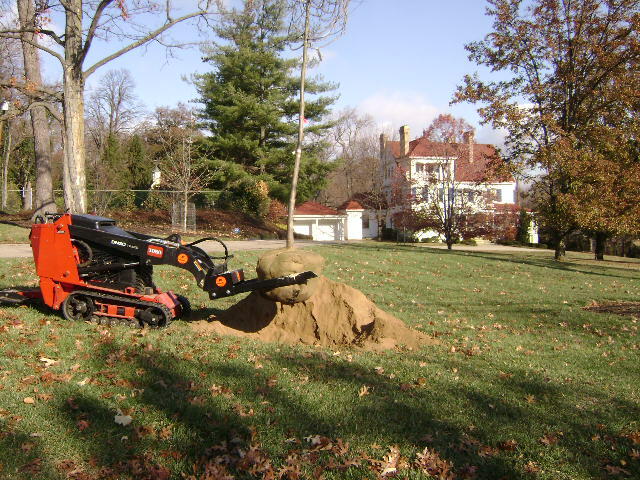 MAINTENANCE PLANS- Yearly inspections, insect treatments, disease treatments, pruning cycles, mulching and aerating, etc. 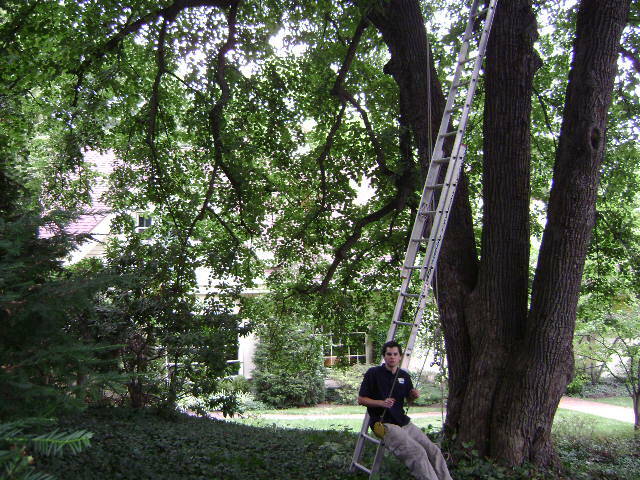 are some of the specifications of yearly and periodic maintenance plans that are advantageous to your trees. OTHER SERVICES, but not limited to them include: mulching, lot clearing, appraisal, construction tree protection, forensic witness, etc. TRAINING - Our crews are painstakingly trained for all the work and monitored judiciously in all the work they do. ANSI standards are observed. 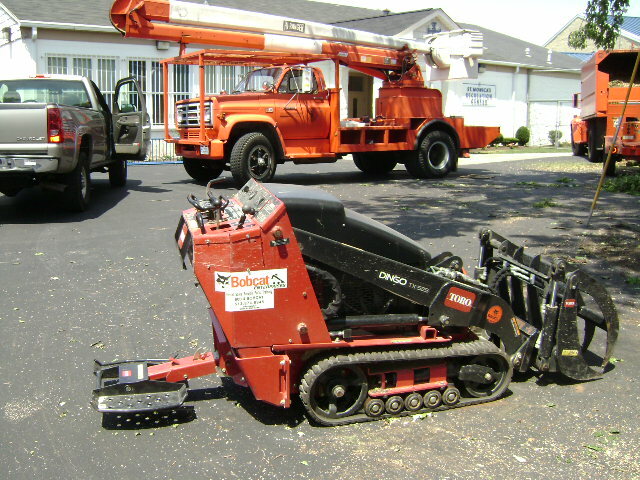 EQUIPMENT - We have a massive amount of equipment that may surpass nationally franchised companies. It has been accumulated by successful operation over 40 years and picked by a veteran for quality and usefulness.